WorldMovieStore - With a spectacular digital picture, spine-tingling high definition sound and immersive bonus features you will feel the love for this critically acclaimed and universally beloved classic like never before. 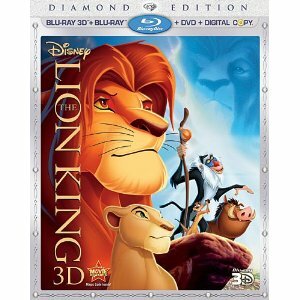 The king of all animated films reigns on Disney Blu-ray 3D—magic in a new dimension. Read More Sinopsis. 0 Response to "Blu-ray Rlease The Lion King 3D"